This is probably our very favorite collar for sentimental reasons. This collar benefits Canine Cancer Research and $2.00 from the sale of every Sammy's Chemo Collar item, including leashes and harnesses, will go directly to helping in the fight against cancer in dogs. Sammy was 11 when he was adopted. He was full of life and energy. But one day, 7 1/2 months after he joined our family, Sammy wouldn't move. It was a beautiful September Sunday. I rushed him to our terrific veterinarian. There, the oncall vet diagnosed him with a ruptured spleen from a tumor. 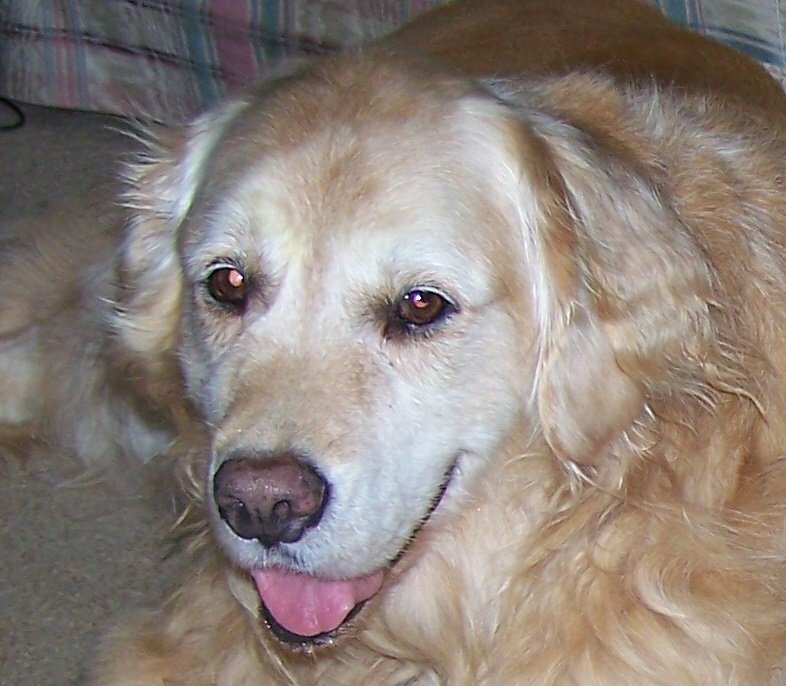 The tumor was a hemangiosarcoma, a horribly aggressive, fatal cancer in dogs. The veterinary team removed Sammy's spleen and controlled his bleeding. It was very touch and go but he pulled through and within 5 days was back chasing his ball and begging for ear scratches. So, since Sammy was thriving, I looked for a humane way to deal with this horrible canine cancer. 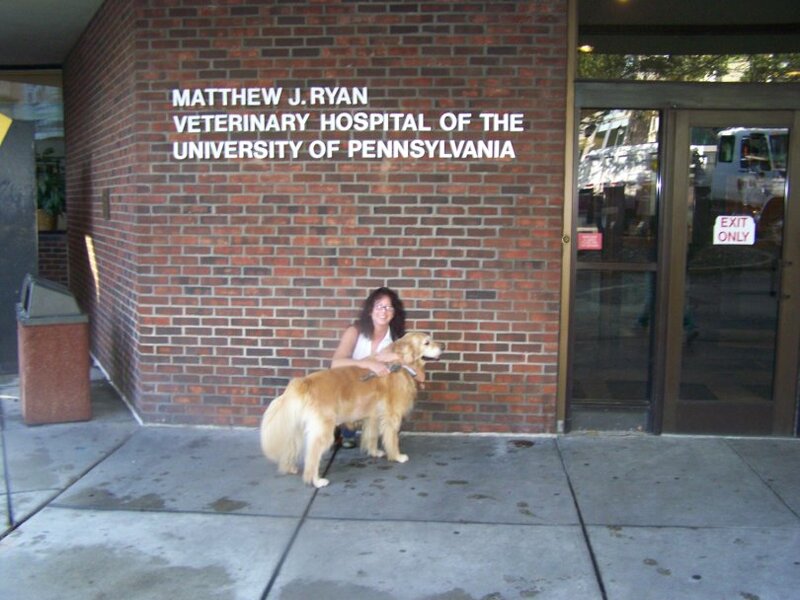 We are lucky enough to live near one of the top veterinary medical centers in the world, the Mathew J Ryan Hospital of the Veterinary College at the University of Pennsylvania. 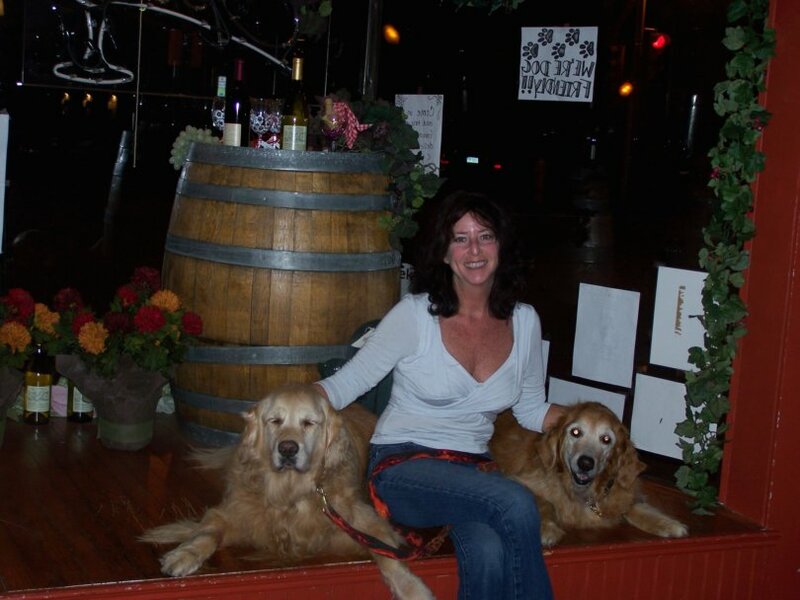 It was there that Sammy was enrolled in a palliative chemotherapy program. For this type of cancer, there is no cure. But chemo, in the right dose, causes almost no side effects and frequently extends the life of a dog from a dismal 3 to 6 weeks, up t to 12 months. Because Sammy seemed to be in stage II of his disease, a middle ground for tumor growth, the oncologist and I decided to try and help him live a longer happy life. But it was still scary. Chemotherapy is scary and I wanted Sammy as strong as possible going into the treatment. He was already on a grain free diet but I began to cook for him as well, all good meat and vegetables. He looked fantastic and you would never know he had had surgery just 2 weeks before. To give him another little edge in his fight I made him a very special collar and leash. I wanted him to be "biker tuff" while getting his chemo, so the collar had to reflect that. I found the best material. It was black with bright red and orange flames! It was absolutely perfect. Sammy looked proud and strong when he wore it and all the folks at the cancer center loved it. For the next month Sammy did very well and we had great times and many adventures. But sadly, Sammy's cancer was far more advanced than all the doctors knew. And just 6 weeks after he was diagnosed, Sammy took a grave turn for the worse. He quietly passed away at home while his head rested in my lap. And so, to honor the memory of my beautiful brave Sammy, we have his chemo collar. We want to help make sure that in the future dogs and their people can benefit. We want to donate as much as we can and we are especially grateful for all of you who help by purchasing this collar. Thank you.